Micron Technology was a detail oriented, campus-wide fire alarm replacement project. 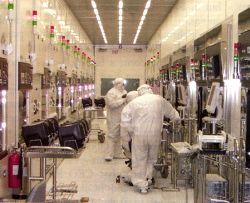 It was especially challenging as the 24/7 semiconductor manufacturing process and administrative support functions could not be disrupted as work took place in all buildings, including the robotic clean rooms. The new fire alarm system had to be installed and accepted before the old devices, conduit and wire were removed.